I try to code as much as possible these days at work, but recently I had a story assigned to where I needed to deploy a Python web service I had written within a Docker container. I tried to claim a sudden ignorance of anything Dev-Opsy related but that didn't work. 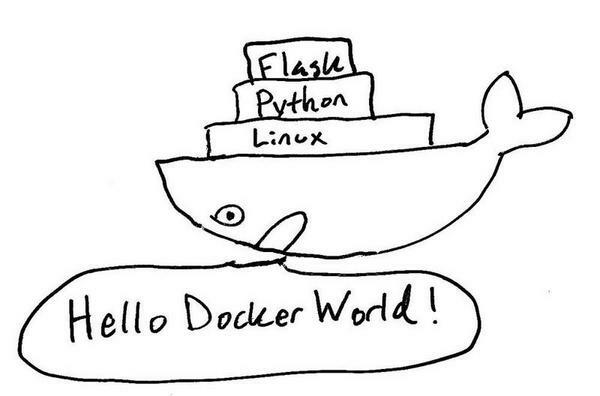 I started to research the basics of Docker and the notes I took became this post. This is a quick tutorial to show how to get docker up and running quickly for the purpose of deploying Python Web Applications. Mainly I am posting this as quick reference, but who knows, maybe some other people will find it helpful! As usual, let me know if you see something that I got completely wrong! Docker is a containerization platform for deploying applications! You are probably familiar with the idea of deploying a full VM in the cloud. For example, when you deploy a VM on Digital Ocean, they are running hardware in their datacenter which has an operating system that is running some type of virtualization software. On top of all that you deploy a VPS which has its own operating system and everything that goes along with it. So, that's a lot of useless duplication when all you are concerned with doing is running one simple web application which needs at most a few processes! Docker reduces that duplication by allowing you to share the OS of a central machine and then running your application in a containerized processes that is cordoned off from the host machine and the other containers it is running. From a high level, you create docker images using a manual process or by using a Dockerfile. These Dockerfiles are a series of instructions that define the components that make up your Docker image. When you are ready, you use a command to run your Docker image. The Docker Host works with the operating system its installed on to allocate resources to your image/container and execute the code you have specified. These commands were run on a Digital Ocean VPS running the latest version of Ubuntu, but they should work on almost any Linux machine. You can also run Docker now on OS X and Windows now so be sure to keep that in mind. Obtain CLI access to your Linux machine. # note that this downloads a text file at the url above and then pipes the contents of that text file (a series of bash commands) into the sh interpreter. You should see your machine busy installing Docker. If not, the best approach is to start screaming loudly, "The blue whale has failed me!" We should only see the hello-world image that we downloaded just now. Docker images are basically templates that you download from Docker Hub and they allow you to quickly deploy a machine configured exactly like you want. Let's do a bit more. Docker will download and create an Ubuntu 14:04 Docker Image and then launch it in a Docker Container. Then it will drop you into that new processes CLI as the root user (with this command and options). now hit the shortcut ctrl + p + q. This should drop you out of the containers CLI and into your own original CLI of your VPS or local linux machine. You should see only the one running docker container at this time. You should see a list that includes the original container that we just exited out of earlier. Let's Deploy a Flask Web Application! 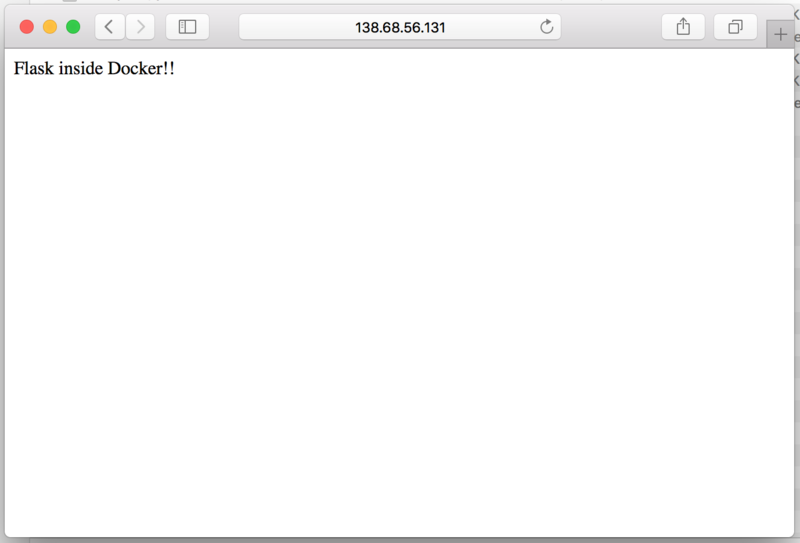 Ok, so now that we have done that, let's see how easy it is to deploy a ready to go Flask web application with Docker. This time we are going to use the -d tag with docker run in order to indicate to Docker that we want to run the up detached (in the background). Notice the -p 5000:5000 in the commad below. This tells Docker to map port 5000 of our container to port 5000 of our VPS. This port forwarding allows us to expose our application to our network so we can view our web app. You should see Docker working. Give it time to download the Docker image and run it. Now you can view a log file of all the output from your container! Now, all you need to do is open up your browser and navigate either to http://localhost:5000 or if you are on an internet-exposed VPS open up its ip. My temporary VPS happened to be on the ip 138.197.204.130 so that is where I navigated to. Now you sould a somewhat anti-climatic repsonse from you flask application! And that is super basic, but you get the idea! Now, I am going to show you how to create your own image. 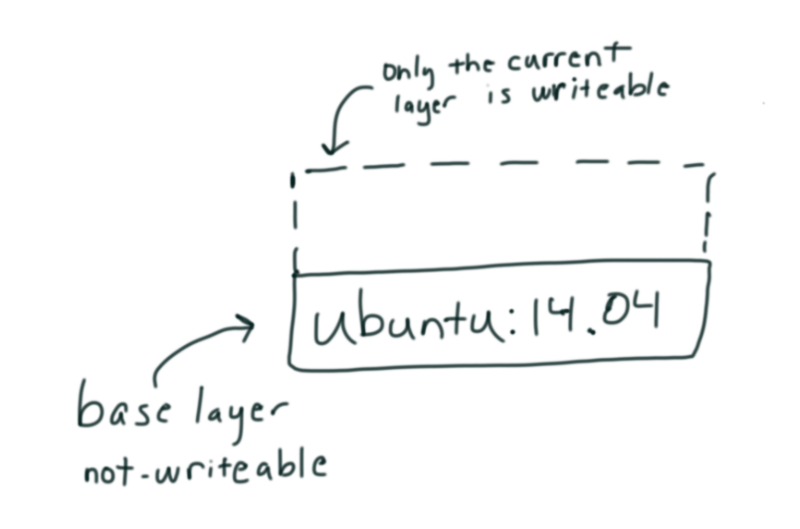 When we build from a base image, docker creates a writable layer on top of that image that we can then modify. This creates and launches us into an Ubuntu 14.04 Container. As you can see, we do not have Python available in this container. Let's get it installed! $ apt-get update # to make sure our package manager is up to date. And now you should be able to use Python from within your new image! So, you're probably thinking that is great, but what if you want to rebuild your image but only from one certain layer? Or maybe you want a record of everything that is in your image? Well, there is a better way than manually committing and building images. We can use a Dockerfile! And yes, the name of the file is Dockerfile. So, inside your Dockerfile put the following. Note: Do Not include the comments. Note that each run command writes the instruction on the top layer and then immediately commits the results. You can avoid that by combining instructions together in your Dockerfile. For now, though, let's not worry about that. But keep in mind that our Docker container could be conceptualized with the following picture. Docker builds a new layer with each new command on a separate line. Ok, so now that we have our Dockerfile written, we need to go ahead and create our image! We do that with the docker build command. So how do we get our code? We can add some commands to our Dockerfile to clone our code from a Git repo. Maybe something like? Wouldn't it be great if instead of copying our Dockerfile to our VPS and creating a folder and everything, if we could just move it into our Git repository and just have docker read everything in our repo? So, first I want you to go look at https://github.com/TimothyBramlett/python-flask-docker-hello-world where I have cloned the previous Flask Hello Docker app and modify the Dockerfile to be similar to the one we were creating above. Note that the new commands ENTRYPOINT and CMD specify to Docker how to run our app. So, that should get you started! The next step might be for you to use Continuous Integration Pipelines to fully automate the processes of dynamically re-deploying your code and container environment the moment you commit to your master branch. Eventually, I may try to do another post on how you get this setup. It was suggested to me on Reddit that it might be a good idea to still use virtual environments even while within a Docker container. This seems a bit overkill to me but I guess it really depends on exactly what you are doing and/or your general preferences. 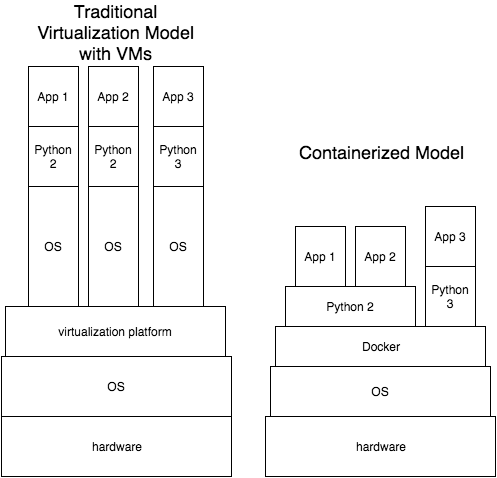 Why people create virtualenv in a docker container? So, maybe check those both out and then be aware that its definitely an option. 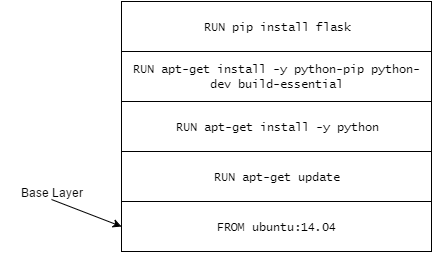 You should be able to use a RUN command in your Dockerfile to just create a virtual environment with virtualenv and then use source to activate it before you run your RUN pip install -r requirements.txt. Another strange issue we came across is trying to use Docker with gitlab repos where the repo name has captial letters. The problem comes when you try to run commands like docker push to the URL and Docker continually complains about the arguments not being valid. Here is a github issue that was opened describing this problem. Basically, when you send send your docker command involving repo urls with capital letters, replace the captials with lowercase. There have been some reports that underscores cause problems as well, but I haven't seen this yet. So one problem I actually ran into recently was trying to use Docker locally on Windows 10 and accessing our Gitlab instance which is on a server that has a self-signed SSL certificate. I was told that Docker on Windows and Mac doesn't actually run natively using Windows system calls but instead runs from within a VM. After doing more research I think that my Docker install WAS actually native since Docker appears to now be running natively on Windows 10 and Windows Server 2016. This could be important because I had already added our Gitlab servers certificate to my Windows 10 key-store. If you do not know how to do that, check out this video: How to Trust a Self Signed Certificate. I could be wrong, but I think that because my Docker instance was running natively on Windows 10, that it had access to all the approved certificate authorities that have been approved with the Operating System (including the one I had added) and shouldn't have been reporting an error. When I really started to look at the error, I realized it was a Git error and not an actual Docker error. Docker was trying to use my Windows system's Git to pull the repo I wanted to build, and Git was returning an error to Docker who was then passing that error along to me. I then did more research and figured out how to add a certificate to Git. I tested it first on my Mac (Just doing a git clone) and once that worked I used the same technique on my PC. It worked and Docker could use git to pull the repo and build from the Dockerfiles instructions! If this doesn't sound like your problem and Docker itself is complaining about self-signed certificates then there is supposed to be a way to add approved domains/ports to a json file called daemon.json.